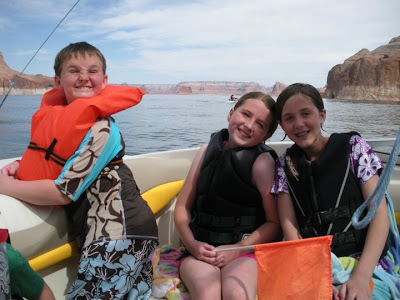 Lake Powell is so much fun when we have been able to go. We haven't been able to make it the last couple of times that everyone has gone so we were so excited to be able to go this year. It was a little bitter sweet because the last time we went, we were there with Jeff's dad and grandpa. 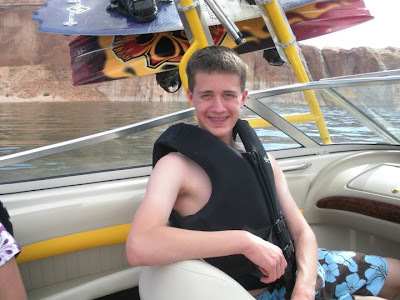 He loved Lake Powell and so the rest of is loved it with him. We missed him so much but knew that he was so happy that we were all there together and having fun with one another. It was so early in the season and so the water was freezing! Go figure...it was coming straight from the snow on the mountains! The water raised so much everyday. It was the fullest that it had been since 1980. 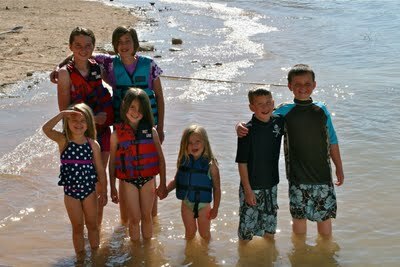 It was exciting that the Lake was going to be full this year, but kind of rotten for us who wanted to be in the water...The two times I actually got in it took my breath away! One of those times I got in was on accident. I was trying to get from the jet boat to the house boat and fell into the water in between...camera and all! Consequently losing my camera to moisture! Jeff tried to fix it after we tried to get the water out from putting it in a bowl of couscous, but it didn't work. The pictures that I did get are pictures that I had taken before the fall and then some that I have blog lifted! Here's my skeleton collection of photos from that fun week! I don't mind roughing it a little bit, but don't ask me to go without my finger nail polish!! By the end of one afternoon, every female had their fingers or toes painted thanks to Calli and I. Even the littlest new addition Marlee got her nails painted too. Thanks to Uncle Jeff holding her down while I painted. Even though it was freezing...some of them still got out to do a little water skiing and tubing. Greg, you still got it! One afternoon, we had a little talent show. It was really fun and funny. Calli performed for everyone on her guitar. I could watch this girl all day play and sing! I just love it!! The little ones really got into it singing and dancing and doing some really cute skits! So much fun. Mack wanting to drive the boat and his first mate Brigham...If these boys ever get old enough...watch out! 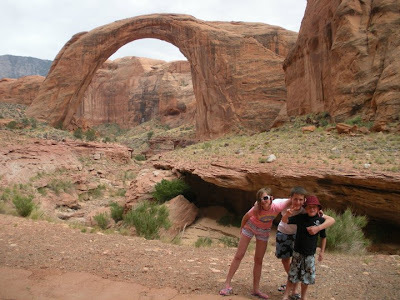 My kids at Rainbow Bridge. I am so glad that they got to go and see this amazing formation. Jeff was the designated Jet Ski Shoufer. He was always taking the little ones out for rides. Here's most of the clan. Missing a few...so much fun! Thanks to Grandma for providing us with such fun memories to have forever!